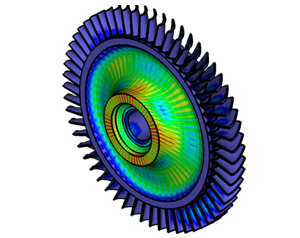 - Perform structural linear static analysis on models subjected to static loads when materials do not exceed their yield limit and deformations remain small with respect to overall dimension. - Perform real symmetric Eigenvalues analysis to evaluate the natural frequencies and the normal modes of structures. The Block-Lanczos and Automated Multi-Level Substructuring (AMLS) methods are supported. - Execute frequency response analysis using the direct or the modal method to evaluate the behavior of structures in the frequency domain. - For frequency response analysis the Fluid-Structure interface may also be employed. - Efficient solution of modal frequency response analysis for large scale models with a relatively high number of normal modes through the implemented Fast FRA algorithm. - Perform direct or modal transient response analysis to determine the response of structures in the time domain. - Perform quasi-static simulation between rigid and/or deformable structures that have small strains (linear materials) when non linear contacts are present. 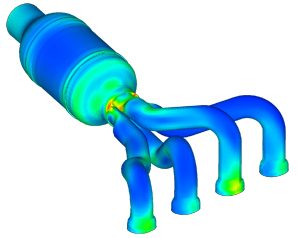 - Reduce large scale models using the static condensation process based on the Guyan method. - For dynamic problems, dynamic substructuring is also supported based on the Component Mode Synthesis (CMS) method. - Designed to solve analyses on large scale models with sophisticated in-and-out of core capabilities. - A wide range of FEA problems that are often addressed by engineers require a structural analysis. EPILYSIS solver can cover several structural simulation scenarios effortlessly in combination with the several pre-processing tools of ANSA. - In Safety analysis it is a common practice to depenetrate the dummy from the seat. Making use of a predefined scenario, the seat depenetration tool is based on the EPILYSIS solver to perform depenetration automatically. - The NVH Console in ANSA is a powerful tool to conduct the NVH analyses of multi-component assemblies. In collaboration with the EPILYSIS solver, it is able to calculate in the same environment the required modal reduced models (components) and beam stiffeners and continue with a FRF based assembly analysis. - Several optimization tasks can be set within the Task manager of ANSA and invoke the use of the EPILYSIS solver. The solver provides the necessary results as input data for the optimizer according to which it will continue its optimization cycle. - The ANSA and META products offer the perfect environment for composite modeling by introducing unique features that make the whole process more efficient. The EPILYSIS solver can drive this process one step further with the analysis of several loadcases in composite structures. 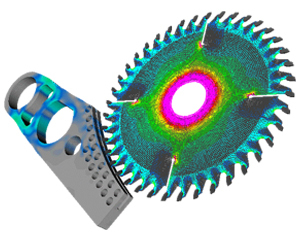 - EPILYSIS can support a streamlined process from ANSA to META that is able to provide an optimized mesh based on the results of discretization error in critical areas of a structure.